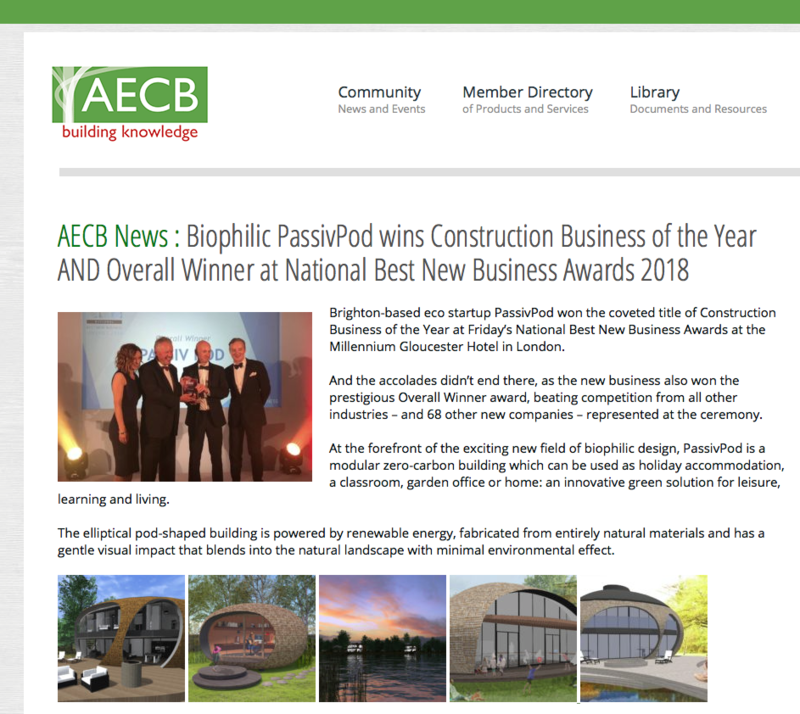 The Association for Environment Conscious Building (AECB) featured PassivPod’s award wins on its members’ blog. The AECB is a network of individuals and companies with a common aim of promoting sustainable building. It brings together contractors, tradespeople, self builders, architects, designers, engineers, manufacturers, housing associations, local authorities and academics to develop, share and promote green building best practice.